Phil Klein's summary of questions here. 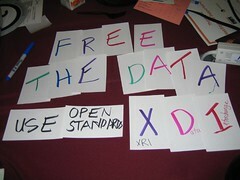 Rescued by Nonprofit Open Source Software Man! We thought we'd get the early bus -- we were up anyway from jetlag. Unfornately, the bus driver left us off at the wrong building. It was almost a mile or so down the road. We started walking and luckily David stopped and offered us a ride! The one thing I love about Nancy White is that she reminds me about the importance of playing and exploration -- even I don't have any time. Nonprofits don't have the time to explore and play, although it is recognized as important by some. I love Jamie McKenzie's Questioning Toolkit that leads you through different types of questions and how you can use them in instruction. What I like most is the Unanswerable Questions. Because the new information landscape is streaming by at supersonic speeds, we find ourselves working overtime to “get our minds around” the essential issues, trends and data of our times. Making meaning is harder than ever before. Supersonic speeds? We open our e-mail and watch a stream of messages flow into our mailboxes. Some of them are correspondence, some of them spam and many of them information “alerts” we have set in motion by subscribing to many of the services that may be tailored to our interests and needs. It is hard to keep up with this torrent. Quick fixes, wizards and templates abound as substitutes for deeper understanding, but the ultimate answer to information abundance and degradation is unrelenting pondering and questioning. The better we are at interpreting the data and challenging the assumptions behind them, the greater our chances of handling the riddles, the conundrums and the paradoxes that are so prevalent. Questions make it possible. Confession: I'm a car slob too. Today, I gave someone a ride in my car and I had to apologize for being a car slob. I have some good excuses - have young kids who eat in the car, I'm too crazy busy to clean it up, it has almost 100,000 miles, etc. Well, I'm also a tagging and rss slob. I'm not going to put the link in to it - but tagging and rss encourages my sloppiness. I need to change my habits and be a little more neater and thoughtful. 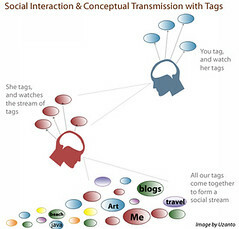 Here's an excellent article from Alexandra Samuels on tagging tips. Silver Surfer Week is intended to encourage UK older people (over 50) to find somewhere this week where they can have a good first experience of Internet/email free of charge. They hope to get at least 10,000 over-50s to take their first mouse clicks onto the Internet. There are all types of different facilities throughout the UK making their computers available. There will be volunteers and staff helping guide newcomers on to the Internet . I wish I could go, but alas ..
Just found Sonny Cloward's post about how he used delicious/tags to get resource content published and organized on the Web site. Here's his post explaining how he did it. Here is what the resource section looks like. Therefore added thought bubbles to represent the publishing side of the tag usage. Sonny's would be using tags to publish a resource directory to a web site. The informal is an organizational's informal sharing of resources with clients - off the official site, face-to-face, sharing the delicious url, or in person. I cut and pasted Feed Digest generated codes into the appropriate webpages. For example, we have an extensive resource directory in the program area of the CERF website for Prevention, Protection and Recovery and Professional Development resources. These two sections each have subcategory listings of resources; the content on all those pages is created by del.icio.us/Feed Digest bootstrapping. 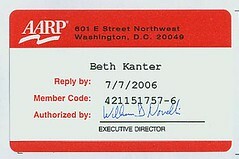 In other words, this tag and this tag create the Preparedness and Recovery resource list. So everytime a program manager comes across a valuable web resource, they simply use the Firefox plugin to add it to del.icio.us, and it is automatically added to the appropriate resource listing on CERF's website. 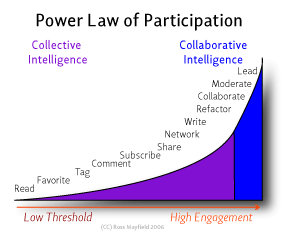 I've just discovered Kivi Leroux Miller's Blog on Nonprofit Communications. Her blog covers fundraising, media relations, and other related communications topics. She also runs a site called Writing911 that helps people who work for nonprofits improve their writing. 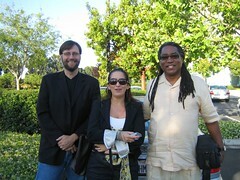 She is the organizer of a blog carnival for nonprofit consultants. As stated on the site, the purpose is: "This carnival is a collection of the best advice and resources that consultants and other support organizations are offering to nonprofits through their blogs each week." 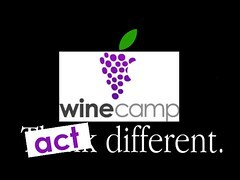 The details on how to participate, topics, and schedules can be found here. 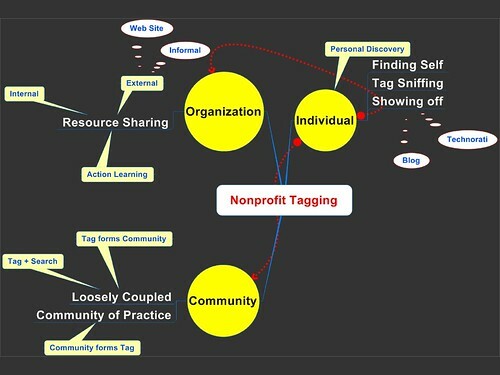 Just came across this interesting example of nonprofit tagging via a blog post on netsquared by enoch choi. Dr. Choi is an individual contributor to Google Health Co-op and works on the non-profit Palo Alto Medical Foundation's tagging efforts @ Google Health Co-op as well. The intent of the tagging is to improve healthcare search for patients. The work I’m doing with Google Co-op involves helping make a list of the URL (universal resource locator, the web address) of websites to improve health-related searches. These labels will appear at the top of Google search results for search queries regarding any health related term. Subscribing to me means you trust my annotations (tagged links) and those links increase in importance within your search results when you use google to look for health topics. I’ve been tagging via del.icio.us for a while, and my purpose was to try to help make higher quality health information easier for people to find. I don’t see how Yahoo has been improving del.icio.us and the bookmarklet is getting slower and slower. Pretty powerful - combining tagging with search - the human curation of information. Reminds me of something I read in Andrew Blau's paper, "More Than Bit Players" and now can't find it exactly. In two weeks, I'll be attending the netsquared conference. I'm participating person, but there are also opportunities to join the conversation remotely and add your questions or observations to the content of the conference. Just go to the list of conference sessions and click on a theme and a session topic that interests you. At the bottom of the session description you have two options. You can either post a question to be asked at the session, or write a blog post to start the conversation online. Even though the conference is still two weeks away, the folks at netsquared are encouraging people to post their questions and comments now so that they can be incorporated during the event.